The third and final day of Copenhagen Fashion Week was a gorgeous one - Clare and I got up early for a rooftop yoga session (more on that soon), doing an hour of Yin Yoga as the sun came up and woke up the city around us. After a couple of hours of writing up show reports for Coggles, we went to Atelier September - a minimalist's haven with the best avocado on rye bread, before heading to the Designers' Nest (showcasing work from some of Scandinavia's best design students) and Mardou&Dean shows, with the obligatory cinnamon roll break in between. That night we went back to Cofoco for wine in the sun and an unbelievable meal at Øl & Brød. This was my outfit for the day, wearing quite possibly my favourite combination of a split tunic over wide leg culottes. 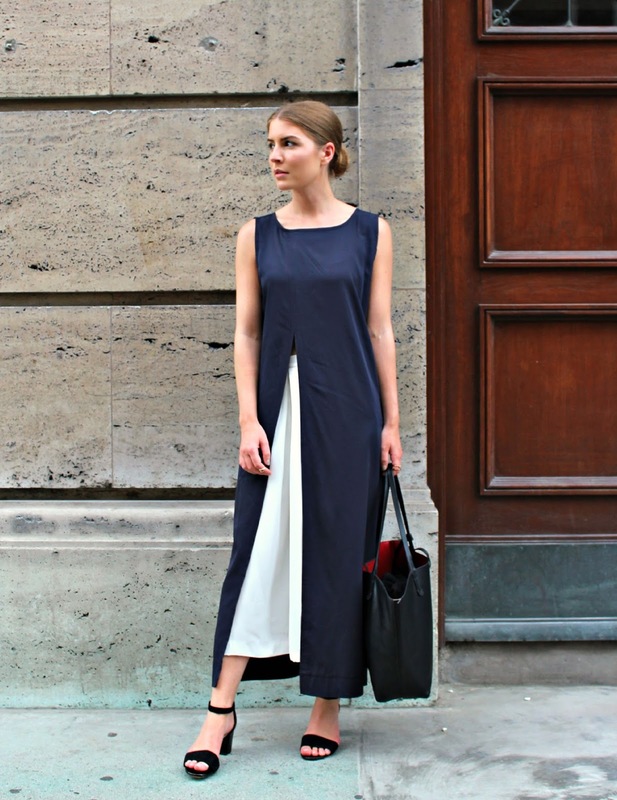 White and navy is a classic colour mix, and I love how you can just see that flash of the culottes. The two pieces were incredibly light and airy, making them perfect for the heat (and all that eating! ), while these Clarks sandals added to the minimalist feel. 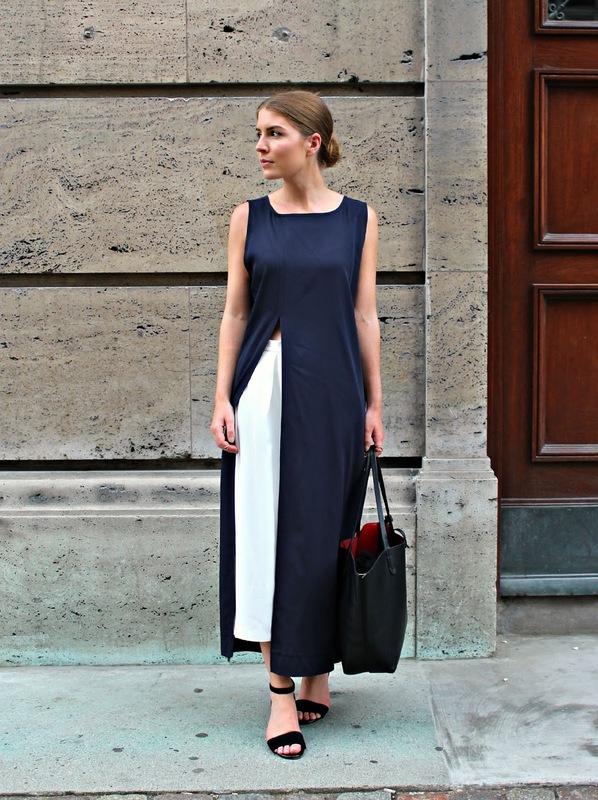 LOVE everything about this look - that tunic is amazing, and it look so perfect over the culottes!!! I think this was my favourite outfit at fashion week! That tunic is gorgeous! Love how you've styled it up to look so chic to. Thank you Helen, this tunic was such a great find!